The realm of creativity with tattoos is big. You can think one over other in a moment. This variety includes the shape of a mermaid, mountain or some floral figures. Among all these options, it’s little bit overwhelming when you’re after some feminine design. 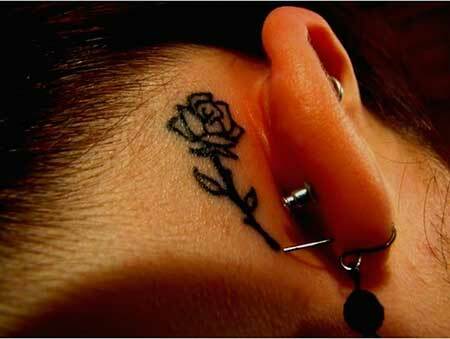 However, going for a small rose flower tattoo can be the best solution for such confusing moments. You can expand your aspiration to add more color to bring more vivacity. 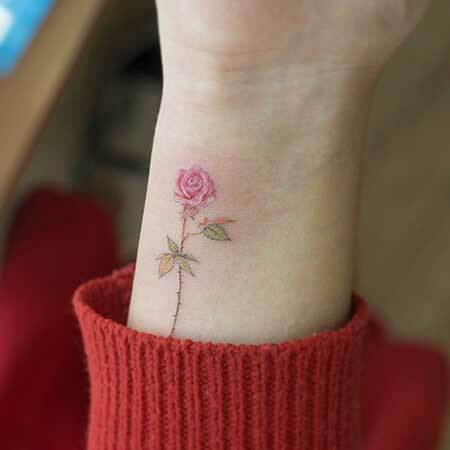 Depending on the placement, you can also be playful with this small rose flower tattoo. Small in size doesn’t mean half or quarter design by any means. 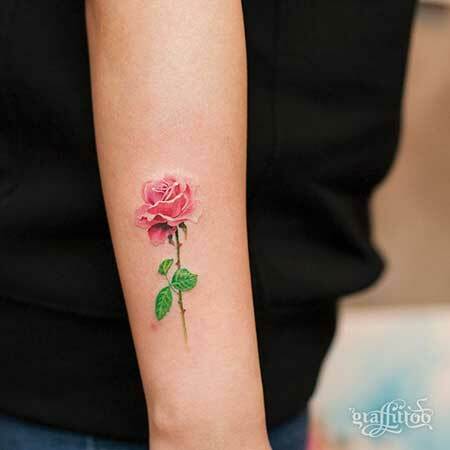 You can have a complete piece of this beautiful rose on your collar bone, hand, arm or shoulder. Be as much creative with your thought on this inking as possible. Go for a watercolor or black work. Choice is yours. 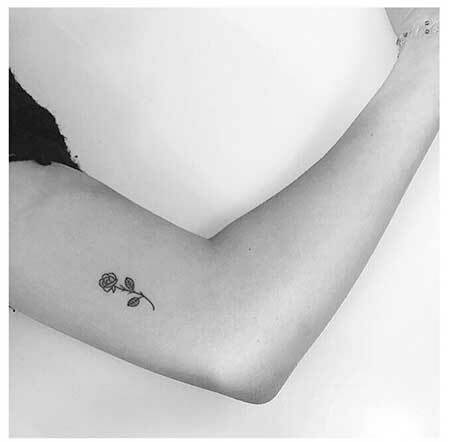 Blend that rose flower tattoo with some skull or watch and get a mysterious look. 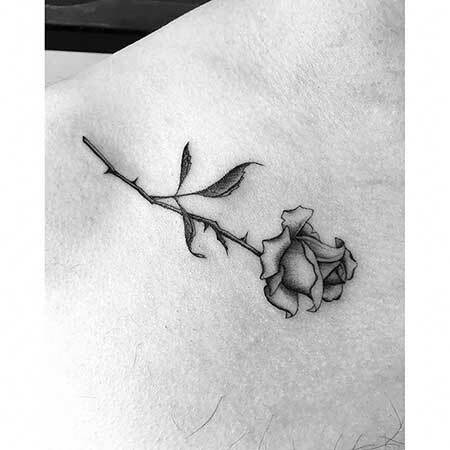 For more suggestions, scroll down this article as we’ve brought together 36 small rose flower tattoo designs that are sure to fill your days with joie de vivre. 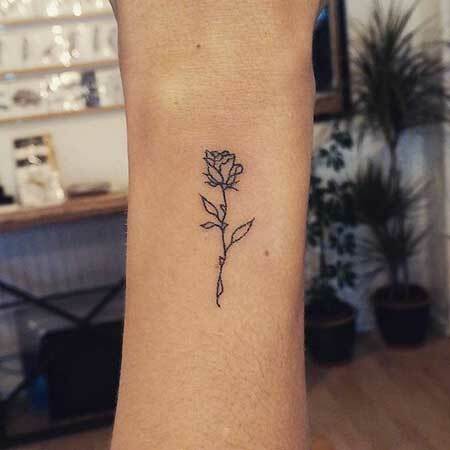 This small flower tattoo will sit any woman with class. It’s tiny yet has a deep meaning. Its delicacy can perfectly blend the idea of being cute and creative at the same time. Its feminine flavor can outdo other larger designs when it comes to elegance. 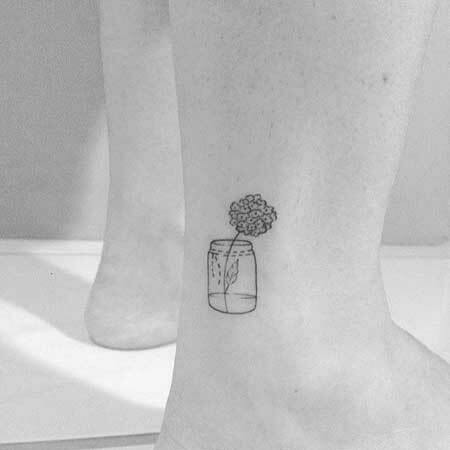 This small floral piece of art is perfect for first timers as they remain puzzled about which one to choose or how it would feel having a tattoo. However, you’ve already had your other tattoos with different design; you can still have it to get a more attractive visual. 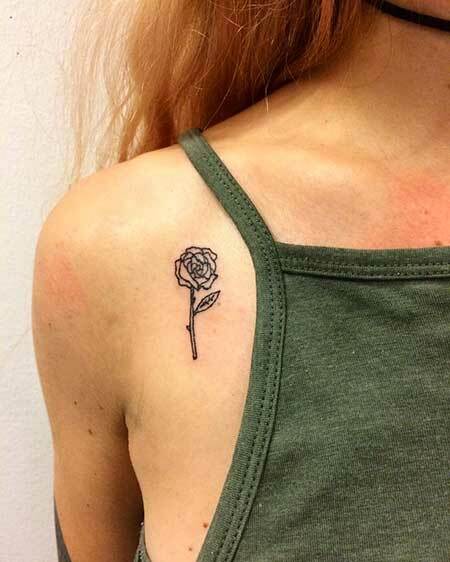 If you don’t want too much detail on your tattoo like the previous one, this small rose tattoo is something you want to try even for once. 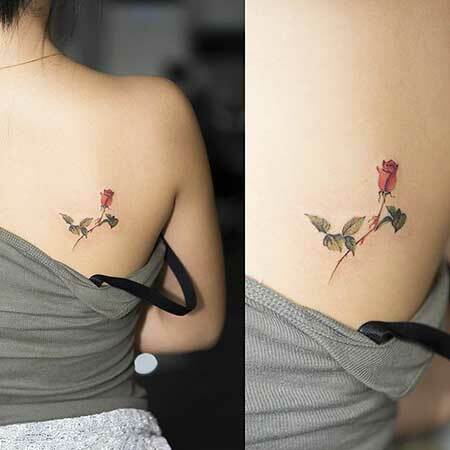 With two leaves on each side of the stem, a small rose is seen to be portrayed very precisely.